I wanted to play around with doing some visual programming and had played with Processing in the past. I recently had been reading about Ruby-Processing and wanted to give it a shot. First, I went to look for some Ruby-Processing tutorials, and I had recently heard about the presentation by Jeff Casimir about the ‘Art of Code‘ (slides and code), using Ruby-Processing. I went through those examples and decided I wanted to modify it to display snowflakes in the spirit of winter. 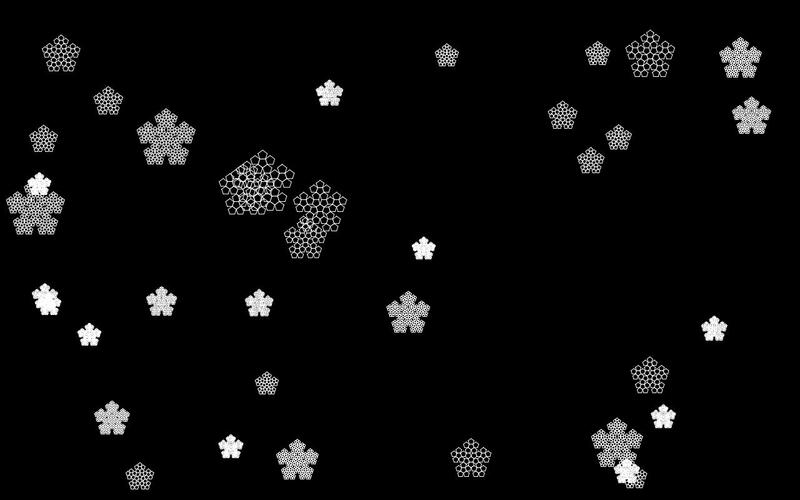 After a bit of searching I found a project that generated a Penrose snow flake using Ruby-Processing. I figured I could modify the programs to get a nice snow flake screen saver type app. The result is my app Processing-Snow, and is shown in the screen shot below. Playing around with Ruby-Processing is a lot of fun, I highly recommend spending a couple hours to make a tiny app. I built my Snow app in about an hour and a half. 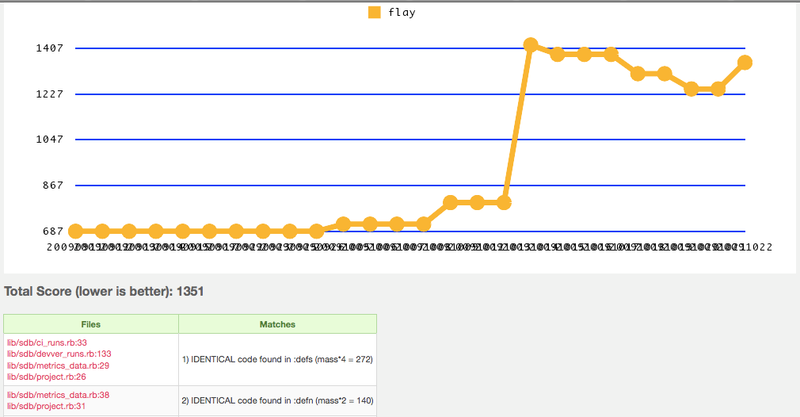 Then I spent a bit of time using Caliper to improve the metrics. For such a small project there wasn’t a lot to improve, but it still helped me to do some refactoring. 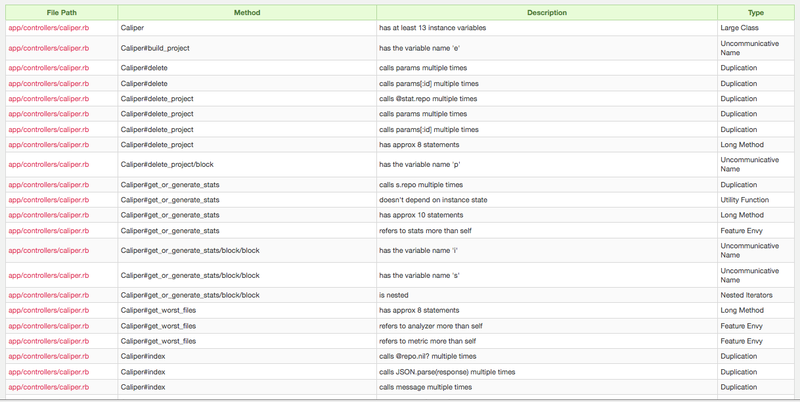 To get an idea of the code you can view Processing-Snow’s Metrics. Feel free to fork Processing-Snow on GitHub and read about how to run it with in the projectss README. I recently went to the Lone Star Ruby Conference (LSRC), in Austin TX. It was great to be able to put faces to many people I had interacted with in the Ruby community via blogs and twitter. I also got to meet Matz and briefly talk with him, which was cool. Meeting someone who created a language which is such a large part of your day to day life is just an interesting experience. I enjoyed LSRC, and just wanted to give a quick summary of some of the talks that I saw and enjoyed. This is by no means full coverage of the event, but hopefully sharing my experience with others is worth something. If you are interested in seeing any of the talks keep an eye out for Confreaks, they taped the event and many of the talks should be coming online soon. Dave was the first speaker for LSRC, and it was a great way to kick off the event. Dave gave a talk about Ruby not being perfect and that is why he likes it. I have heard Dave speak before, and I always enjoy his talks. It isn’t like you learn anything specific about Ruby development, but you learn about the Ruby community. Actually, Dave would say we are a collection of Ruby communities, and that having a collection of communities is a good thing. It was also interesting to hear Dave speak about the entire Zed, “Rails is a Ghetto” incident. Sometimes when you are angrily ranting around online, it is easy to forget that there are real people attached to things. Feelings can get hurt, and while Dave agrees there is some valid points in the post, I think it shows that it probably isn’t a good way to go about fixing them. Dave really loves Ruby and the weird things you can do with the language and it shows. Glenn talked about phyical emotions tied to code, such as a sense of touch or smell. The talk generally just evoked memories of Paul Graham’s “Hackers and Painters” in my head, in fact Glenn talked about PG during his talk. The best programmers talk about code as if they can see it. The talk explored ways to feel the code and react to it. It tried to promote the idea that it is OK to just have a gut reaction that some code is a bad way to do things, because we should sense the code. Glenn also played a video showing Bobby McFerrin teaching the audience the Pentatonic scale, which I really enjoyed. James visited Japan recently and went to a Ruby conference, and he really enjoyed it. About half his talk was why Japan is awesome… He then found little ways to tie this back into his talk about Ruby and Modules. 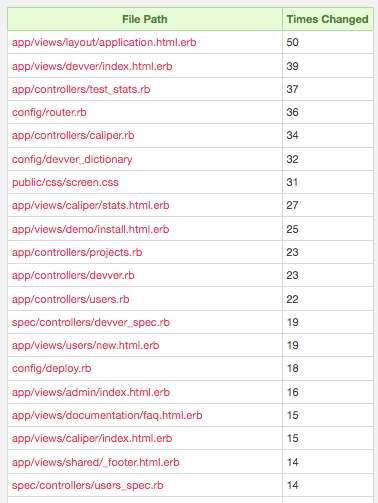 It covered some interesting topics like load order that many people just don’t know enough about, but use every day. Examples of the differences between include and extend. Modules are terrific at limiting scope, limit the scope of scary magic and keep it hidden away. I enjoyed talking with James a good amount through out the conference. I had never met him before LSRC, but I used to practice Ruby working on Ruby Quiz which he ran for a long time. Fernand gave a really cool and demo heavy talk about home automation. He has a web front end that lets him interact with all his technology. His house tweets most of the events that it runs. The web interface has a iPhone front in, so he can, on the go, change the temperature or turn off lights. I have always been a real home automation geek. When I was growing up, my dad loved playing with an X-10 system that we had in the house. I am really interested in playing with some of this stuff when I have my own place, mostly looking at ways I could use it to cut waste on my energy usage. * Early days focus on learning more data about what your building and what your customers want concentrate on the first 80% solution. * Don’t over build, over design, or over engineer. * Make careful use of concurrency, prefer processes communicating via messages (SQS etc…) If you are doing threading in your software EM is your friend. Mike posted his slides on his blog, Ruby for Startups. Jeremy wanted to show how easy it is to use some code to make it easy to work with a system that uses multiple languages. He brought up that most projects in the room utilize more than one language. That it will be more common as systems grow in complexity. He looked at a lot of queues, key value stores, and cache-like layers that can be talked to by a variety of language. He then showed some code that would quickly demonstrate how easy it was to work with some of these tools. Extra points because he talked about Beanstalkd, which I personally think is really cool. I think nearly everyone is starting to look at work queues, messaging systems, and non standard databases for their project and this was a good overview of options that are out there. Matz gave a talk about why we, as a community, love Ruby. In this talk there weren’t really any takeaways that were specifically about Ruby code but more about the community and why Ruby is fun. He spent a good amount of time talking about Quality Without A Name, QWAN. More interesting than the talk was the Q&A session. I thought the most interesting question was why Ruby isn’t on Git yet. He said the teams doesn’t have time to convert all the tools they use from SVN to git. He also mentioned that the git project tracking SVN is very close to the SVN master and is a good way to work on the Ruby code. Evan first covered that the tools we as a community keep getting excited about aren’t really what matters. What matters is TDD technique. After discussing why tools aren’t as important for awhile, Evan began live coding with the audience. Something I thought was pretty impressive as it would be difficult to do. It made for a weird pair programming exercise with the entire audience trying to drive. Which sometimes worked well and sometimes lead to conflicting ideas / discussion (which made for interesting debate). It was over all a really interesting session, but it is hard to pull out specific tidbits of wisdom from the talk. Jake Scruggs, What’s the Right Level of Testing? I have known of Jake for awhile from his work on the excellent Metric Fu gem. Jake explored what the right level of testing for a project is, from his experience on his last nine projects over the years. He explored what worked, what didn’t and what sometimes works but only depending on the people and the project. I think it comes to this conclusion: what works for one project won’t work for all projects. Having some testing and getting the team on a similar testing goal will make things much better. He also stressed the importance of metrics along with testing (really? From the metric-fu guy? Haha). If testing is old and broken, causing team backlash, low morale, and gridlock, it might be better to lessen the testing burden or throw away difficult to maintain tests. Getting rid of them and getting them out of the way, might be worth more than the value the tests were providing. In general he isn’t big into view testing, he likes to avoid slow testing. He likes to have a small ‘smoke screen’ of integration tests, to help verify the system is all working together. In the end, what is the right level of testing for a project? The answer: what level of assurance does the given project really need? In a start-up you probably don’t need a huge level of assurance, speed matters and market feedback matter more. If your building parts for a rocket or medical devices it is entirely different. Corey gave interesting quick little thoughts and ideas about how to stay productive, happy, learn more, do more, fail less, and keep things simple and interesting… Honestly with something like 120+ slides, I can’t even begin to summarize this talk. I checked around and couldn’t find his slides online, but they couldn’t really do the talk justice anyways. Keep your eyes peeled for the video as it was a fun talk, which I enjoyed. Until then here is a post he made about heading to LSRC. Cucumber is something I keep hearing and reading about, but haven’t really gotten a chance to play with it myself. Joseph’s talk was a good split between a quick intro to Cucumber, and diving in deeper to actually show testing examples and how it worked. From the talk it sounded to me like Cucumber was mostly a DSL to talk between the customer and the developer/tester. I don’t know if that is how others would describe it. I thought Cucumber was an odd mix of English and and Ruby, but it helps effectively tell a story. Since returning form LSRC, I have started working on my first Cucumber test. This was just a lightening talk about Bundler, which I had read about briefly online. Seeing the work that was done for this blew me away. I can honestly say I hope this takes over the Ruby world. We have been dealing with so many problems related to gems at Devver, and if Bundler becomes a standard, it would make the Ruby community a better place. I am really excited about this so go check out the Bundler project now. The final keynote of the event was about encoding domains. I didn’t really know what to expect going into this talk, but I was happily surprised. Rich talked about really encapsulating a domain in Ruby and then being able to make the entire programming logic much simpler. He gave compelling examples of working with knowledge workers in the field and just writing code with them to express their domain of knowledge in Ruby code. Live coding with the domain with experts he jokingly called “syntax driven development” – you write code with them until it doesn’t raise syntax errors. Rich spoke energetically and keep a tiring audience paying attention to his stories about projects he has worked on through out the years. Just hearing about people who have created successful projects who have been working with Ruby in the industry this long is interesting. I thought it had great little pieces of knowledge that were shared during the talk, but again this was a talk where it was to hard to pull out tiny bits of information, so I recommend looking for the video when it is released. LSRC was a good time besides hearing all the speakers. In fact like most conferences some of the best knowledge sharing happened during breaks, at dinner, and in the evenings. It also gave me a chance to get to know some of the community better than just faceless Twitter avatars. It was fun to talk with Ruby people about things that had nothing to do with Ruby. I also am interested in possibly living in Austin at some point in my life so it was great to check it out a bit. Friday night after the conference I went out with a large group of Rubyists to Ruby’s BBQ, which was delicious. We ate outside with good food, good conversation, and live music playing next door. As we were leaving someone pointed out that the guitarist playing next door was Jimmy Vaughn, brother of the even more famous Stevie Ray Vaughan. We went over to listen to the show and have a beer, which quickly changed into political speeches and cheers. Suddenly I realized we were at a libertarian political rally. I never expected to end up at a Texan political rally with a bunch of Rubyists, but I had a good time. Hopefully the next Ruby conference I attend with be as enjoyable as LSRC was, congrats to everyone who helped put the conference together and all those that attended the event and made it worth while. The Boulder CTO Lunch meets once a month with a guest speaker and covers topics and questions that startup CTOs should find interesting. This month, the group had Tim Wolters from Collective Intellect come lead the discussion. Tim is a serial entrepreneur currently working on using artificial intelligence and semantic analysis to extract knowledge from unstructured text found in social media. Collective Intellect’s customers use this analysis to inform and measure the effectiveness of their PR and marketing strategy. Tim is considering working on a book, a startup survival guide for CTOs. Some of his ideas for the book helped lead our discussion during our meeting. I will try to present my notes under topic headings that Tim mentioned, but since this was a open free formed discussion, I am sure I couldn’t capture everything and not all my notes are completely accurate. Ideas should have an “Aha!” factor that makes you wonder why someone else isn’t already doing it (or some emotional appeal that makes lives better). During the first few years of a startup you can’t work on all the ideas that come to mind, that is why it is best to keep a journal, just add little notes to the idea to keep them in the back burner. Talk to others about ideas and perhaps have a group move on an idea and lay the groundwork while leading as an adviser. Don’t be worried about people taking ideas. After starting a few companies you know how hard it is to really bring something to market. What about brainstorming for ideas with a group? Brainstorming groups have never worked for Tim, it just hasn’t worked out. If you have the right people around the table (people that can make things happen), it could work, but Tim hasn’t seen it. Ideas depend a lot on timing in the marketplace. If the market is moving slow you can slowly look at an idea. If the market it really moving fast you need to spin it up quick and get a lot of people working on it to really make a move on the idea. Look over your ideas once in awhile and see what still really interest you. As a CTO, you paint a landscape of the product and market. There are two kinds of CTOs: tactical and visionary. Tactical CTOs are internally focused, manages the team, makes the day-to-day tactics so the product gets out there. The visionary CTO sees where the product could go in the market place, signs early deals and customers, looks for features that lead towards or away from markets/competitors/partnerships. The visionary isn’t working on architecture but the market landscape, what partners will benefit the product or get it out sooner. CTO should be thinking about things such as the three hardest problems that the company faces, so they know what will also be affecting their competitors. People who liked architectural purity but learned it isn’t as import at winning at the business end up making great CTOs. CTOs need to stay involved with customers to make decisions about the project innovation and development. Stay active on sales calls, talk with sales people, read all the RFPs. Becoming the CTO vs VP of engineering? Are you good at managing or not? VP of engineering is a managing role. If not, divide off the management as soon as possible (in his case that wasn’t possible until the company was about 20 people). Good sales people leverage a CTO as a company evangelist. If you are a CTO you have to be comfortable with presenting and publicity. You will be at conferences, sales calls, giving presentations, and fund raising. If you aren’t comfortable with these things, get comfortable with it. After some startups, successes, and expanding your network things like getting a team, funding, and getting a startup off the ground are much easier the next time. It will take 3 to 5 times longer than you think to get a project going if you are an unknown entrepreneur with no reputation. Don’t solve the big unsolvable problems first, the first time start with smaller problems and develop a reputation while solving them. Angels and VCs aren’t funding research efforts, don’t just chase after big impossible goals. After a company is bought, it makes sense to make the purchaser successful. It builds on your reputation. Become a big fish in a small pond and then move to a bigger pond. The ideal size for an engineering team is 6-8 people, bigger teams have difficulties maintaining the right amount of communication. For hiring, Tim personally sits down with the key hires, and if it is research he does interviews with applicants as well. 3 things that companies get stuck on that can kill the company. Getting emotionally tied to architecturally purity. Working on layers of abstraction on abstraction to avoid some possible future problem. Continual code death march. Sometimes companies go on code marches to get something to the marketplace. This can’t be done many nights or it will start taking a toll on other aspects of your life. Strive for balance. During a startup, you continually are hitting false summits, you think that if you could just get that contact, solve that roadblock, pass this milestone, or make this key hire then everything will fall into place. While these are important as milestones and you should celebrate them you are not done. Or rather, it typically doesn’t get any easier. What it does is takes more risk out allowing you to go solve bigger/other problems. When founders or others in a company argue, which they need to do sometimes, don’t do it in front of everyone. Discuss disputes offline, reach agreement and present a unified front to the company. Thanks so much to Tim for sharing some of his thoughts with our group. I will leave you with a final question and quote. Someone once asked why Tim likes to start companies?